Size: 2x2x3.5H inches. 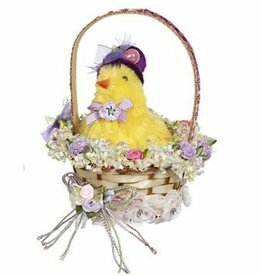 Mini Gold Metal Basket w Handle by Charles Sadek fine home decor and gifts. Size: 8x10x5H inches. 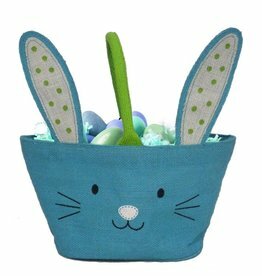 Plush Easter Bunny Basket with Handle. for Ages 3 and Up. Compostion- Polyester-Paper. 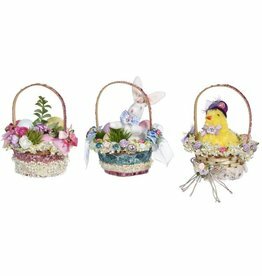 Midwest-CBK Home Decor Easter Decorations and Decor Collection. 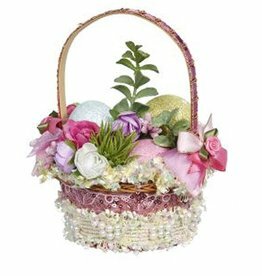 Great as a decoartions or cute as a gift in an easter basket.